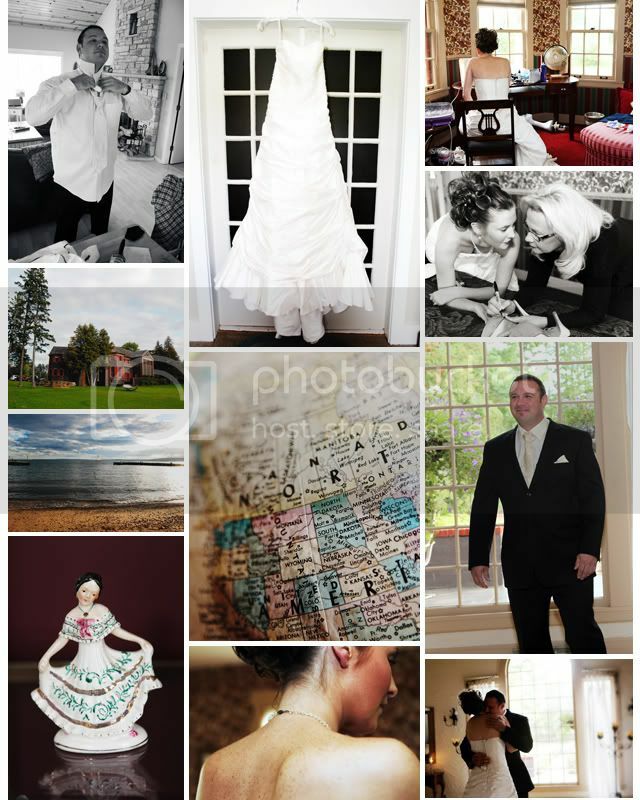 The happy couple were married at Woods Manor Madeline Island that is owned by a friend of theirs. We had a lot of fun taking pictures of them getting ready. Madi had a great classic look! We took some first look photos before the ceremony in and around Woods Manor in the great afternoon light. The weather could not have been more perfect – and the fact that they are as goof as I am made it even more fun 🙂 . The early evening ceremony was presided over by Bayfield’s own legendary Captain Dave, a local sailboat captain. It was a beautiful intimate ceremony with about twenty of Madi and Patrick’s family and friends in attendance. The light at Woods Manor provided some great early evening shots for the reception. I love that they shared their wedding cupcake – a bit different than the usual cake in the face! I don’t know how they both managed to take a bite without wearing the cupcake! Everything was just perfect at the reception – with gorgeous decor befitting a late summer wedding. 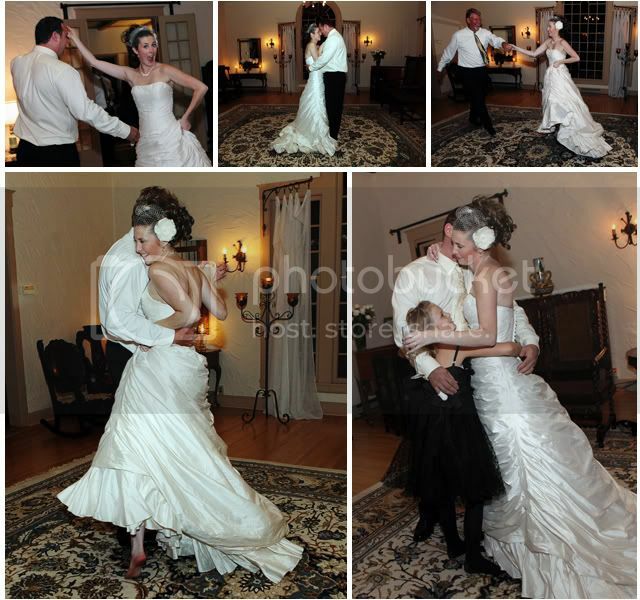 After the toasts and dinner, Madi and Patrick danced the night away with their guests. I love the fact that Madi lost the shoes by the time the dancing came around!